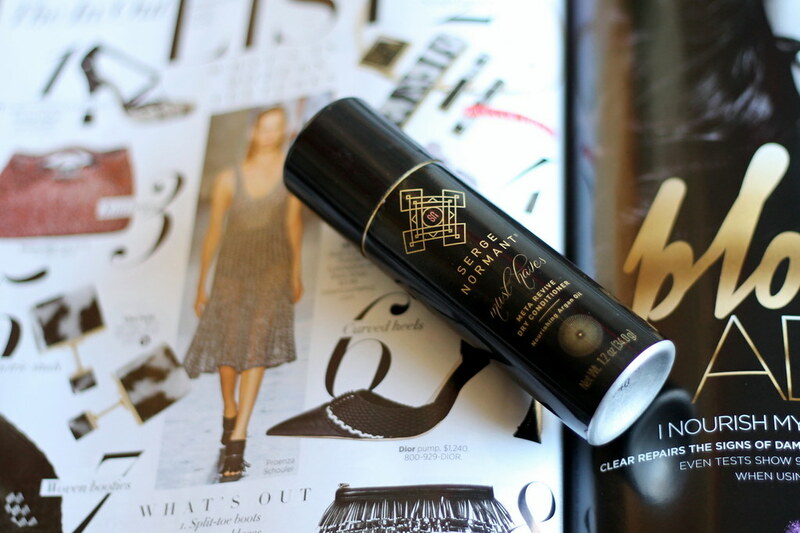 By now, probably most of us have at least one bottle of dry shampoo that has made its way into our daily hair routine. It’s perfect for those “Oh, crap, I hit snooze way too many times and can’t take a shower” mornings. But as a curly girl, I find that while my scalp might be greasy (ew), the ends of my hair are puffy, frizzy, and dry, particularly in winter. Enter dry conditioner. Yeah, I was skeptical at first, too. Yet another product that I supposed “need” in my hair routine? Surprisingly, it has made a big difference in my second- and third-day hair. I spritz it on the ends of my hair after applying dry shampoo, and the conditioner works wonders in taking down the puffiness and making the ends of it feel soft (not an easy fete for just any ol’ product). It also revitalizes my curls so I don’t have to do quite as many touch-ups after sleeping on them. What beauty or hair product has surprised you recently?